This post is a continuation of the first one: Merging Two Photo References into One Painting. 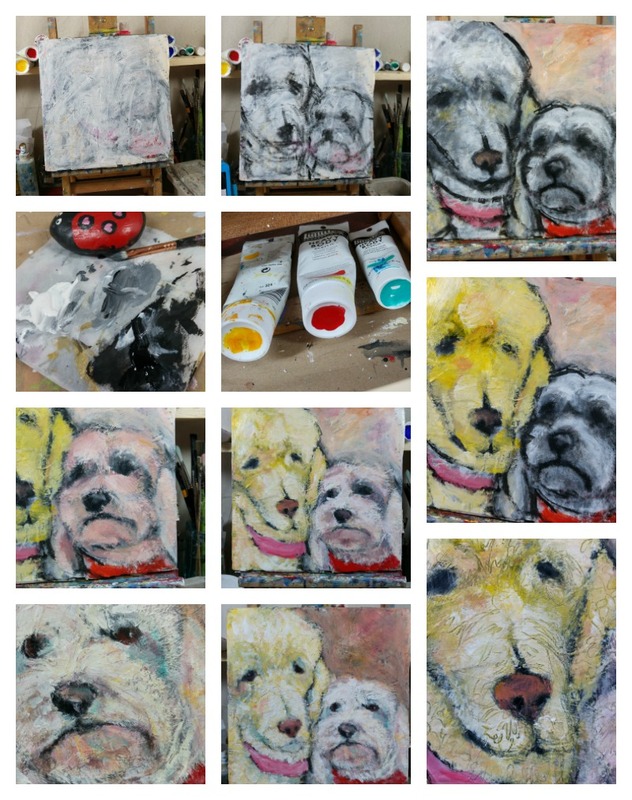 So, I'm finally getting around to editing all the works in progress pics I took while painting these adorable wonderful furrfilicious pups! I made a simple value underpainting first with black and white gesso. 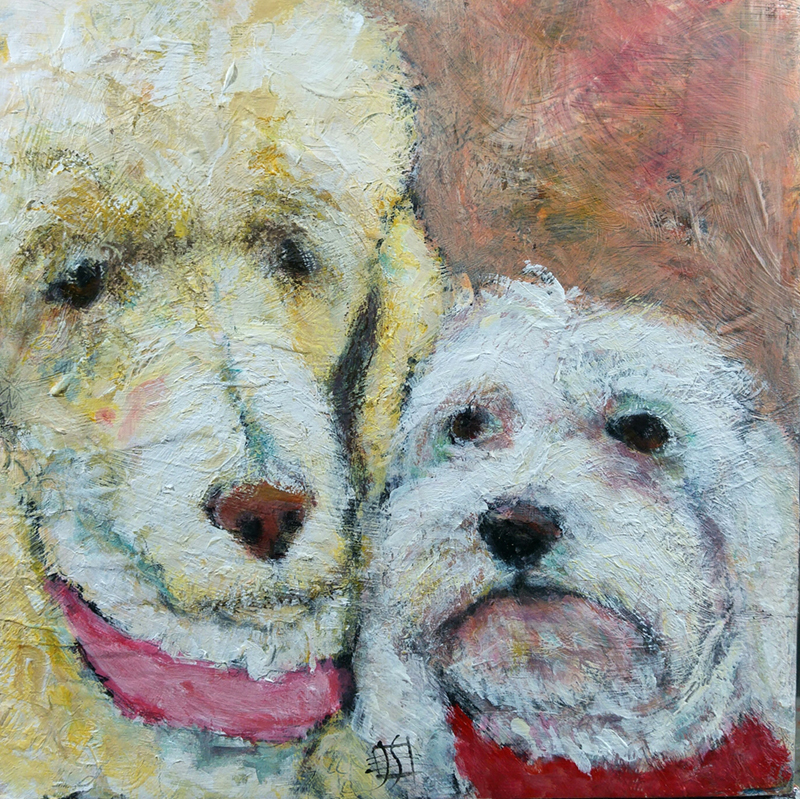 Then wanted these two almost all white dogs to be colorful and fun, so i picked a simple triad of yellow, red and blue. The colors were bright to start, as I knew I would have to add loads of white to lighten and brighten them. But I just had to have color in this "all white" painting. 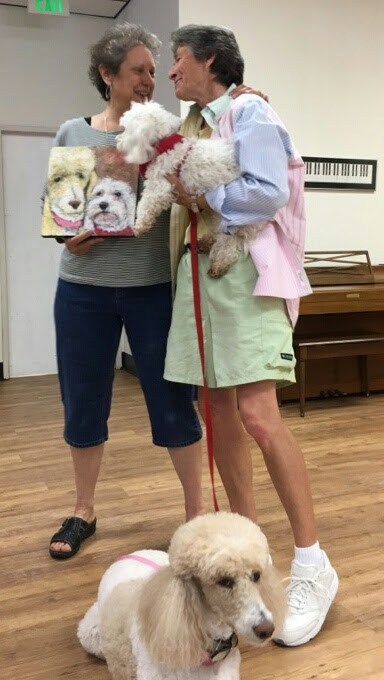 And we had a fab time at the retirement party for Mary and her two amazing, chill, and wonderful dogs, Lucy (standard poodle) and Ricki (Havanese). 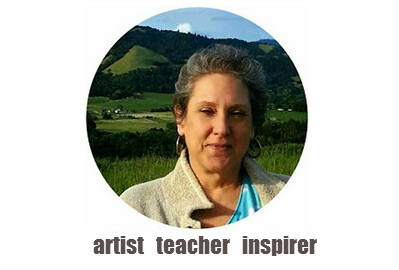 Mary loved her painting, and was so surprised - everyone else brought food to share, lol. Mission Accomplished!